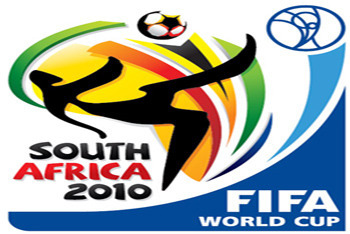 The 2010 World Cup in South Africa kicked things off early Friday morning with the host country known as Bafana Bafana taking on Mexico in group A. 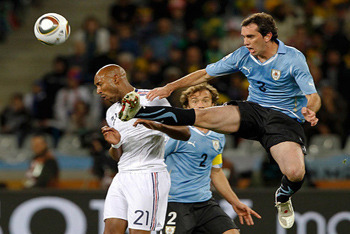 Also those French cheaters, who got into World Cup unfairly by beating Ireland with a handball goal, faced off against Uruguay. Both games ended in ties, so no team has made any progress, but the energy of the players and fans has taken off. 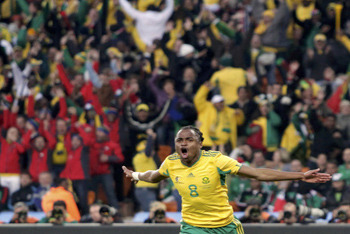 It took just a bit more than 55 minutes, but South Africa’s Siphiwe Tshabalala scored the first goal ever in a World Cup match on African soil… and boy it was a beauty. 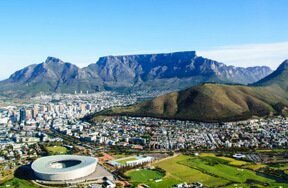 It was a left-footed power-strike to the top corner, and what a great way to get the stadium of 85,000 South African fans to make some noise. The other game between France and Uruguay didn’t have any goals. The French, known as “Les Bleues”, complained that there was a handball inside the penalty area, which could have easily given them a penalty kick. But the referee did not call it. It looks as though Les Bleues’ Karma is catching up with them after they were allowed the infamous goal against Ireland after Thierry Henry used his hand to get France the one goal they needed to get into the World Cup. 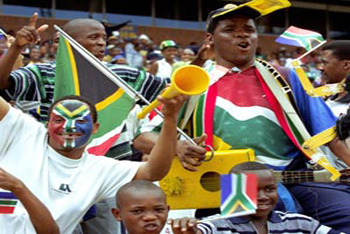 If you haven’t heard a VUVUZELA yet, you probably will by the end of this South African World Cup. Actually, the moment you watch one bit of the World Cup you will hear the vuvuzela, because the fans don’t ever stop blowing them. 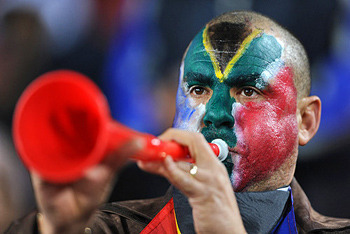 Many people are complaining about the sound of the vuvuzela because it has no rhythm, just one long annoying loud pitch. But it’s very unique and quite fun, and the vuvuzela did not stop for one moment during the games today. 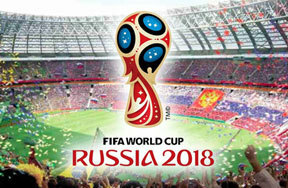 The most anticipated game for American fans will be played tomorrow with USA playing England. Who do you think will win? Let us know in the comments below!